Pink Floral Sheath, Denim Jacket and Blue Booties. Day two of committing to wearing Pink for Breast Cancer Awareness. 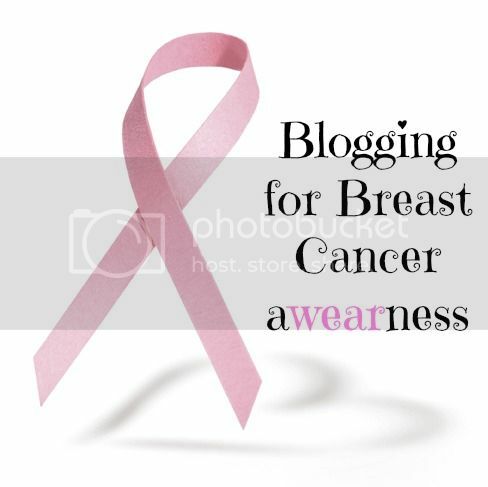 Please join our link-up below if you are also wearing something Pink whether in your clothing, nail polish or makeup, and follow Amy and I via Bloglovin, Google Friend Connect or Google+. You can find all of our buttons on our blogs. Thank you. My Pink is subtle today. Well there is some Bright Pink on the Floral Pattern of the Dress, a Soft Pink Lipstick, another Pink Watch (I wore my other watch yesterday) and some Coral Pink Small Drop Earrings. I love this Silk Dress by Loft but it was ignored for far too long (having too many clothes - do you have that same problem?) It has these Gorgeous Calla Lillies in a Bright Pink, Turquoise and Taupe Watercolor Design and the Dress itself is a Charcoal Gray Color. I belted it with a Skinny Taupe Snakeskin Belt, added Simple Jewelry and my New Awesome Royal Blue Wedge Booties (that I recently paid $18.00 for) and last but not least I topped it off with my Denim Jacket. I wore this last Saturday AM for the English class I teach to my young students. For at least half of the day, the Jacket came off because the weather was bright, sunny and quite warm. Fast-forward 5 days later and today is Wintery out. What's the weather like where you live? And have you bought any Cute Booties lately? Silver Pave Cuff: White House Black Market (very similar, Splurge), (similar by Michael Kors, love this), (gorgeous option by ILY Couture, best deal, love this), (another gorgeous option w/ triangles, great deal, love this). Silk Shantung, Gray Dress w/ a Pink, Sky Blue, Beige & Violet Floral Print: Ann Taylor LOFT (similar by ABS, Splurge, love this), (gorgeous option by ECI Indication, great deal), (similar by The Limited, best deal, love this), (similar w/ tulip skirt, love this). Pink-framed, Green/Rainbow Mirror "Wayfarer" Sunglasses: Random Street Vendor (New) (identical, best deal), (very similar, great deal), (gorgeous Ray Ban option, love these). F.Y.I. Today's theme for Spotlight Weekly is Boots or Booties, so I am linking my New Gorgeous Oxford Booties I am wearing today. And, coincidentally My Outfit today has a Denim Jacket (which I am taking from Whitney's Outfit and passing it onto mine). But once again Whitney and I are in sync like last time, because she also layered her Denim Topper over a Dress and we both wore Ankle Booties. Also linking up with Alice, Bethany, Carrie, Crystal, Jalynn, Jenna Marie, Lauren, Rachel, Sharon and Tara.